Established in 2012, Ella Hopfeldt dress shirt brand for women is a relative newcomer on the fashion scene. Despite the young age, however, it has already established itself as one of the best places to buy luxurious, fitted women’s shirts online. 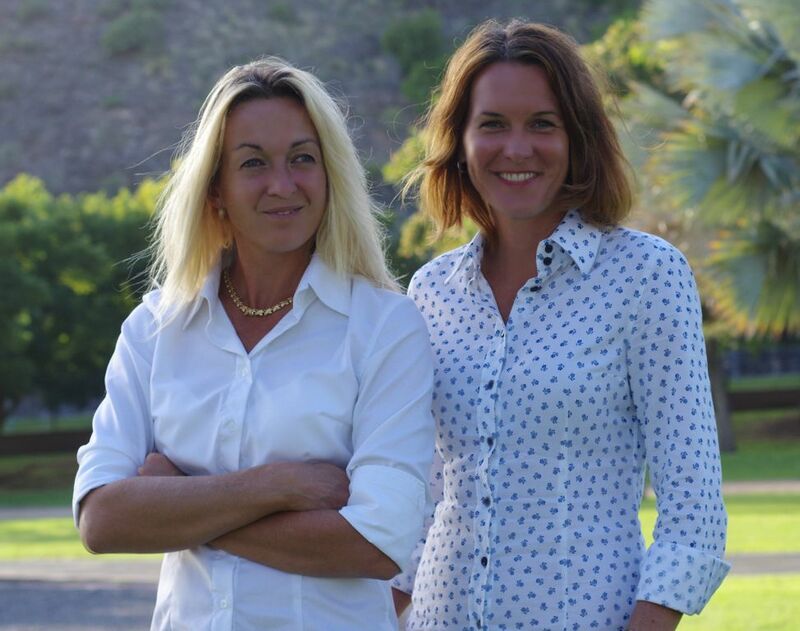 Based on the feedback from our clients we have found out why so many women come to Ella Hopfeldt for their shirts. 1. A whole new level of style and comfort. Designed and produced in Europe, our shirts are made with superior craftsmanship and attention to detail that elevates the shirts to a whole new level of comfort and style. Craftmanship matters because it is directly related to the way the garment looks and performs. 2. Fitted shirts look flattering. A fitted dress shirt can certainly highlight a slim physique, but it can be flattering on almost any body type as long as the fit is right. 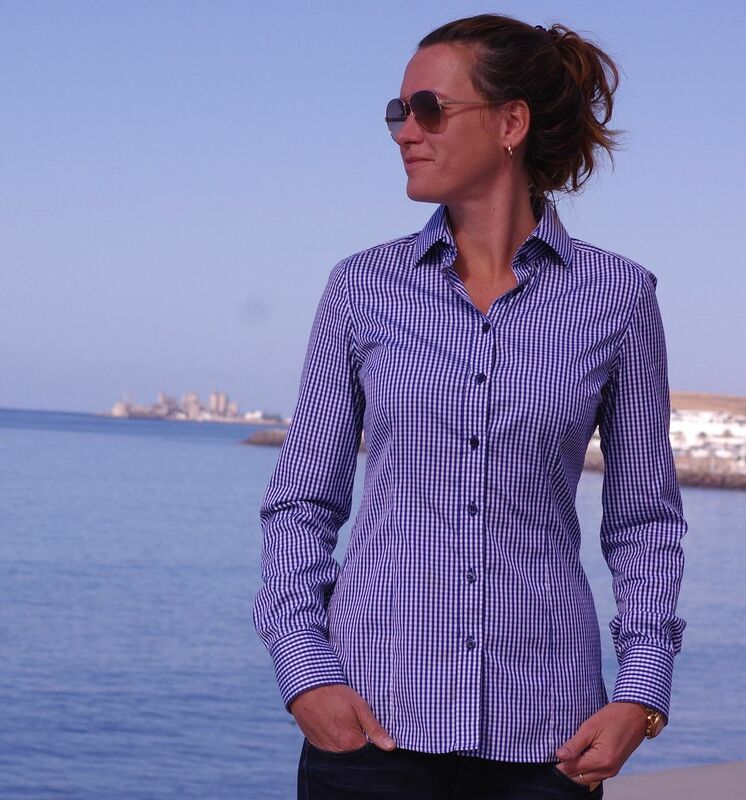 Our tailored, fitted women’s shirts come in 4 fits for different heights and body types. A tailored fit will ensure that you look sleek and smart – a fitted shirt is always more flattering than the alternative. Take our short test and find your perfect fit! 3. Ella Hopfeldt uses the world’s best fabrics. 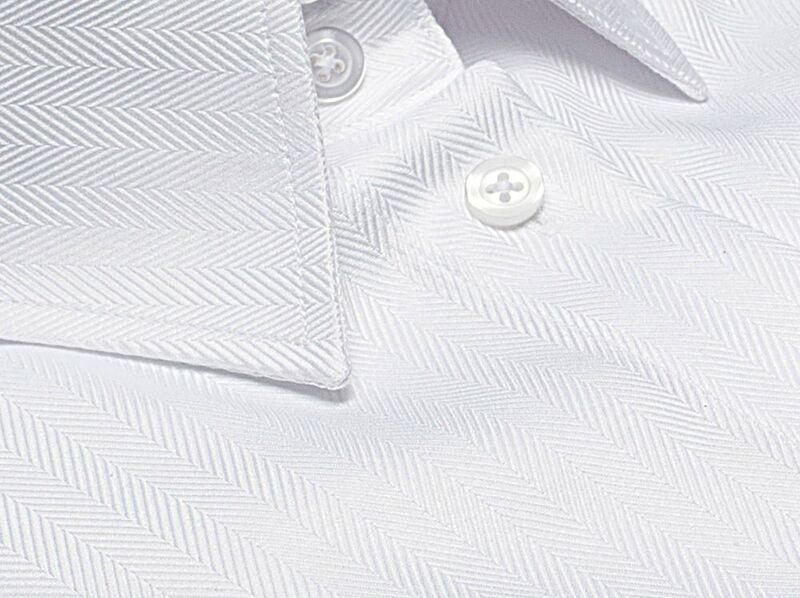 We work together with one of the world’s leading manufacturers of shirt fabrics from Austria. All our shirts are made of premium 100% cotton that lends the shirts an enjoyable and comfortable feel. All the fabrics are Bluesign® and OEKO-TEX® Standard 100 approved. 4. Eyecatching collars and cuffs. Details like collar and cuffs distinguish a high quality dress shirt. All Ella Hopfeldt shirts have reinforced collars and cuffs that makes these details firmer and crisper looking even when your day extends into night. Whether you opt for a double or a single cuff, you will get a garment that will get you noticed. 5. Ever expanding collection of dress shirts exclusively for women. 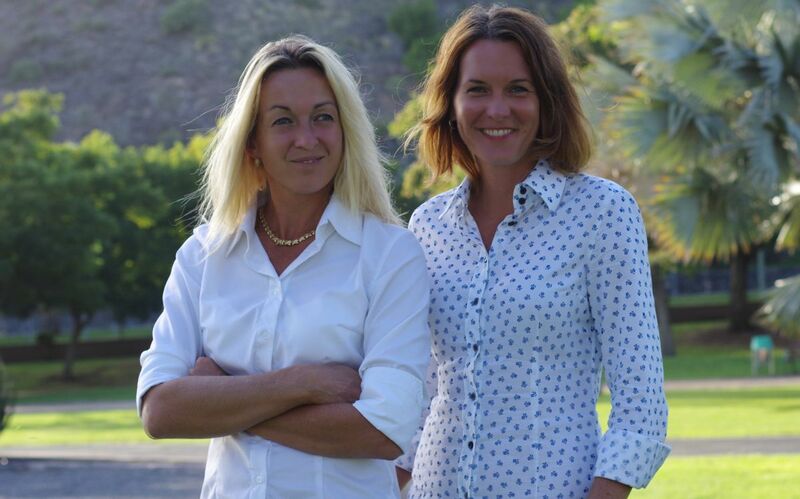 Ella Hopfeldt makes dress shirts only and exclusively for women. We are focused on providing the same choice and quality of shirts for women as is being provided by world’s best shirtmakers to men. 6. Created by women, for women, with what women want in mind. 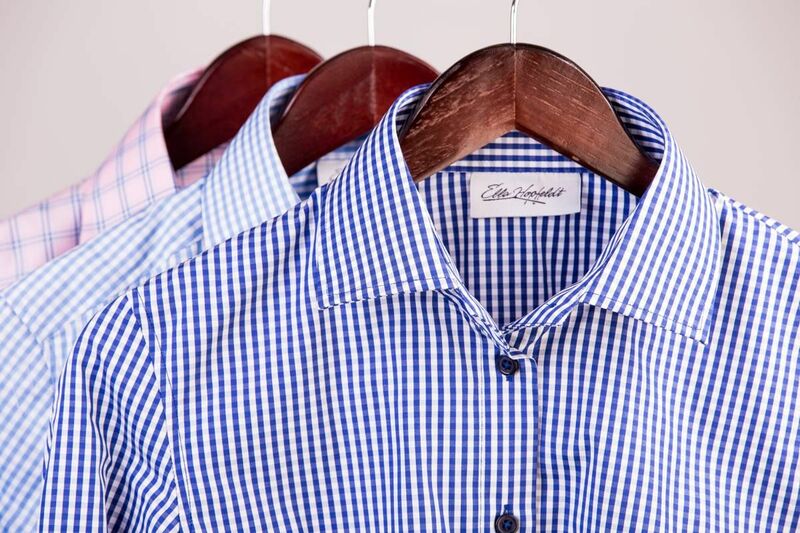 Ella Hopfeldt brand was started by two women, Marion and Merit, both of whom love to wear dress shirts. What started as a personal need for classic, high quality, tailored shirts quickly grew into a strong desire to provide premium products to women all over the world. Apart from the great product, an important element behind the success of Ella Hopfeldt shirts is the excellent customer service. Exchanges are handled efficiently and in the unlikely event of being unhappy with your product, you can have the confidence that also the returns and refunds are processed promptly. Ready to give Ella Hopfeldt a try? Take a short test and find a perfect shirt fit for your height and body type!